And don’t expect me to liveblog it–I’ve got too much to do meeting up with old friends and making new ones in the meat world this weekend. It looks like central Massachusetts is going to be a stinkbox today–with drier and cooler weather on the way for the weekend. Yay! Tenured Radical has a nice preview of what’s going on, and I’m sure she’ll have lots to report about the weekend after it’s (mostly) all said and done. 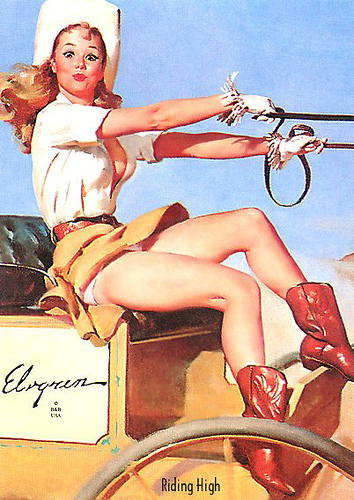 For those of you who will be joining us at the Berks: watch for the cowgirl boots, and say “hi” if you feel like it! (If I’ve pi$$ed you off, you can just ignore me.) Don’t forget about our meetup tomorrow afternoon after the last sessions ends, 5:30-6:30 at the Grad Lounge of the Lincoln Campus Center. Apparently, TR will also be kicking it in cowgirl boots, but hers are a more city-appropriate black. She went to grad school and lived in NYC for a spell. My boots are the color of the high plains dust I rode in with. Have fun! Sorry to miss everyone! Although my blog’s been a bit silent recently, I’m excited to come to the meet up! And this is my first Berks, so I’m excited. It’ll be great, if I ever get out of Chicago Midway Airport! Have a wonderful time! I love New England summers and wish I could make it. I’ll be there! Maybe we will run into each other. I won’t get there until Saturday morning so will miss the meet up. attend this conference someday!! It just sounds like such a rich and amazing experience! Enjoy! After a good half-week in the archives, including what might be a major strike, I decided today that o.k., I would come to the conference and meetup after all. But I’m still too fried to drive that far, and the train is literally sold out, so bummer. But have a good one everybody. It looks like the heat wave may have broken, to the south of you all anyway. Friends, I didn’t make it to Amherst–a family emergency has detained me. So sorry to miss the conf. And the meetup especially! Will post an explanation when I can but I can say that all is well now but I am needed up here for now. Well, we’re all headed for an unhappy ending at sometime or other, but there won’t be one for Famille Historiann this week. Not yet! I’m at your session now, and was sad to hear of your absence, but hoping things rare better by now. Hoping for a good weekend for you! Crappe. I hope everything’s ok!